When Richard Dunn was stuck at a Las Vegas airport overnight, it didn’t occur to him to just read a book, take a nap or watch a movie on his laptop. What did occur to him was to spend all night making a video of himself lip-syncing to Celine Dion’s version of the Eric Carmen classic All By Myself in his very own music video. The video, inspired by a lonely airport, has received more than 4,000 plays on Vimeo - and counting - and has been shared in over 49 countries. He said Celine Dion is his guilty pleasure — it didn’t take long for him to have the words down. "I’m just peeing myself laughing listening to this stuff thinking 'you’re just tired it's not that funny,'" he said. 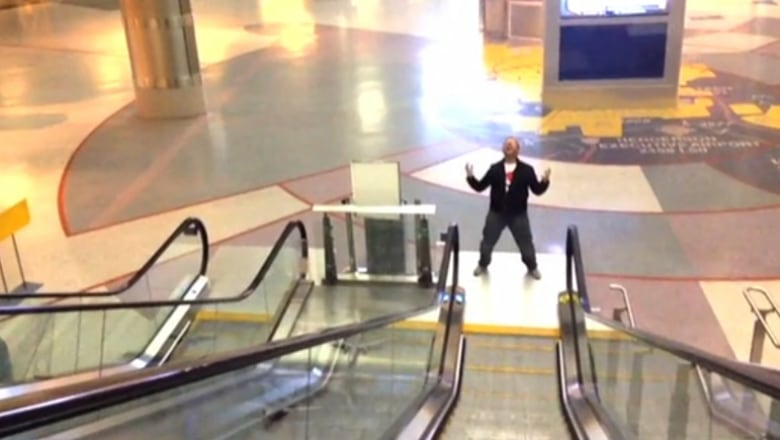 The big crescendo scene in the video was shot from a piece of luggage set on the escalator. 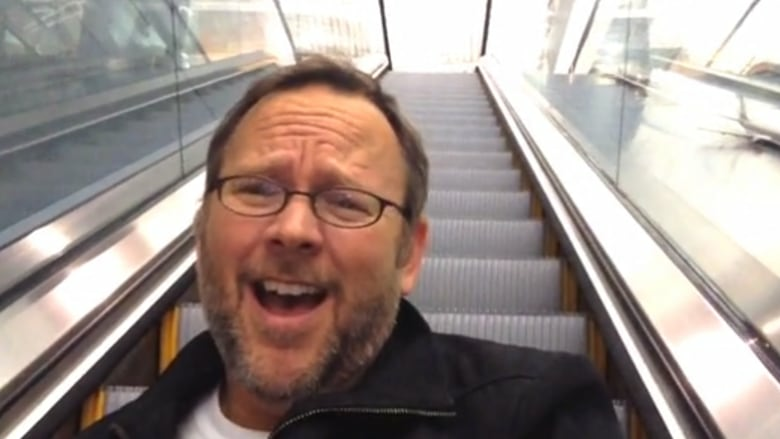 (Richard Dunn)For his big finale, Dunn strapped the camera to a bag and set it on an escalator so the camera zooms out on him as he crescendos.